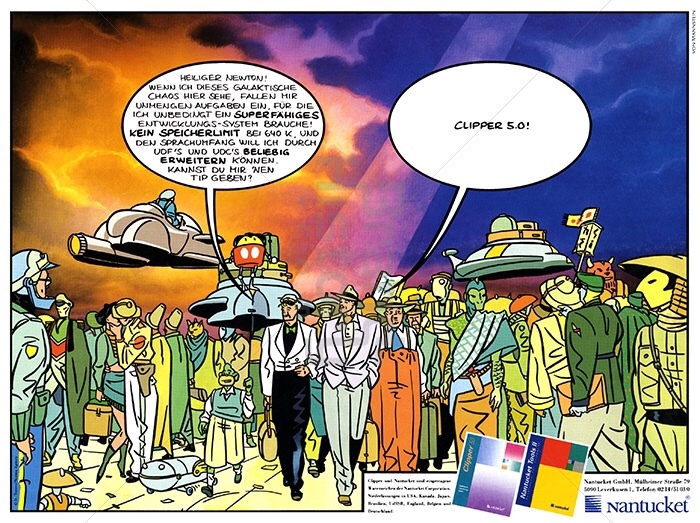 I'm trying to find a software ad in a comic book style that I remember from one of my father's computer magazines in the early 1990s. I know this is a long shot, but somebody might recall it or even still have a magazine with that ad. The ad was full page, landscape. 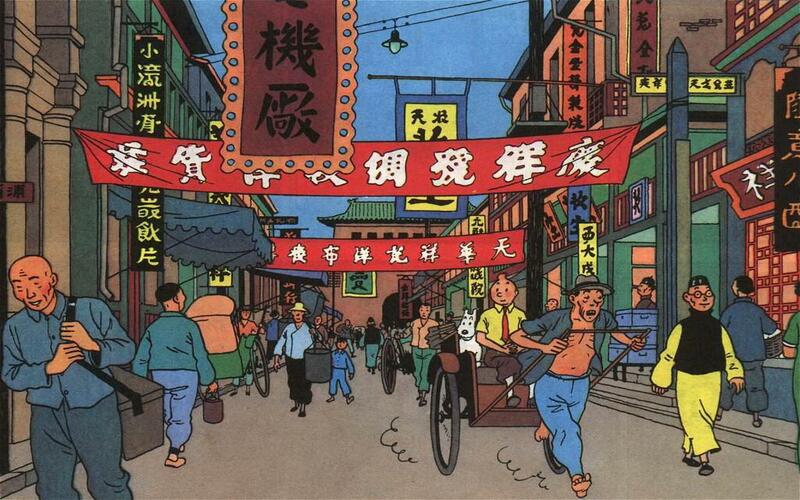 It contained a single scene and was drawn in a colorful comic book style, in technique similar to Tintin. It featured two humans on a busy platform, overlooking a futuristic city. The platform was full of funky aliens (think Mos Eisley cantina clientele, but friendly). The two humans had a speech balloon each. One was full of technobabble (for me at that time a least; it must have been a list of software features), the other bubble contained just the name of the product. I can't shake the feeling it was Clipper 5.01, but I'm pretty certain it was in the form "product_name version_number". I'm pretty certain it was a German magazine, because that's what we had access to. The ad was on the back cover. I browsed through the Internet Archive to at least find the name of the magazine. The only one that I found familiar there is c't, but there are only issues from the mid 1980s. I'm hoping the ad was running in other magazines as well. I would place the timeframe in the early 1990s. If the ad was in fact for Clipper 5.01, which was released in April 1991, the magazine would be from from around that time. Funny, I do remember this ad. The second last one seems to be it. ...and does indeed have that comic book style you mentioned!